With our new vegan buckwheat galettes on the menu we wanted to share the love and offer a Crêpe Date for 4 people! 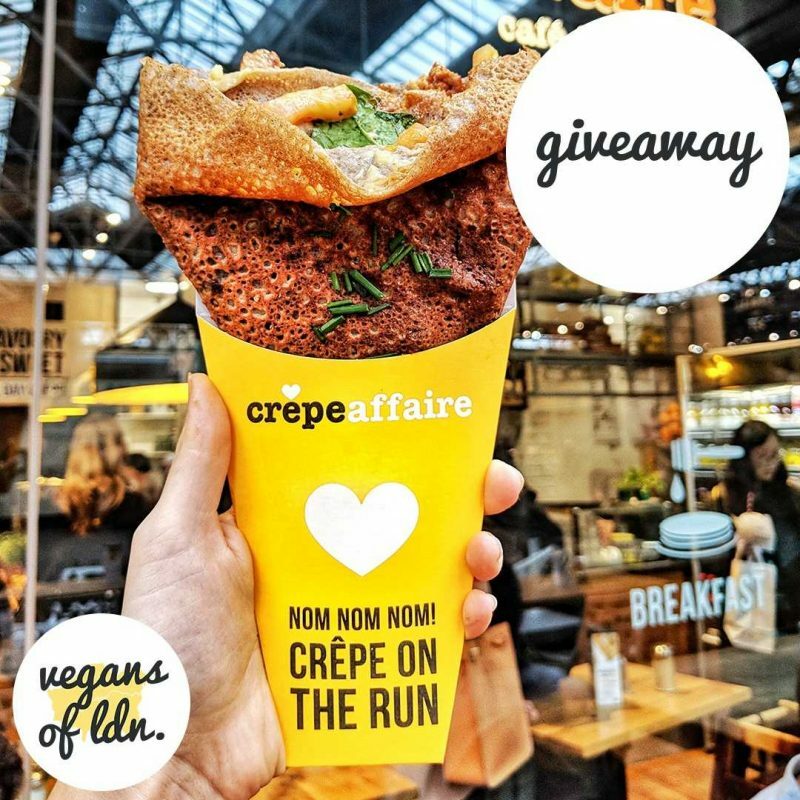 We’ll be picking 1 winner to offer four (vegan) crêpes at participating Crêpeaffaires! Prize available to redeem at Spitalfields, Islington, Stratford, Birmingham, Brighton, Cambridge, Chester, Leeds and Newcastle branches 📍. UK-wide. Over 18’s only. Competition will run between 18th and 20th January 2019. Entries must be following @crepeaffaire + @vegansofldn. Must like the competition post & tag friend(s). Prize must be redeemed before expiry date on voucher. Prize offers 4 free crêpes and cannot be reused or copied (not valid with any other promotional offer).